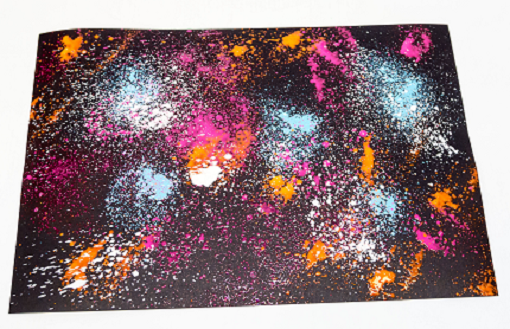 Introducing our brand NEW Fabric Spray Paints! 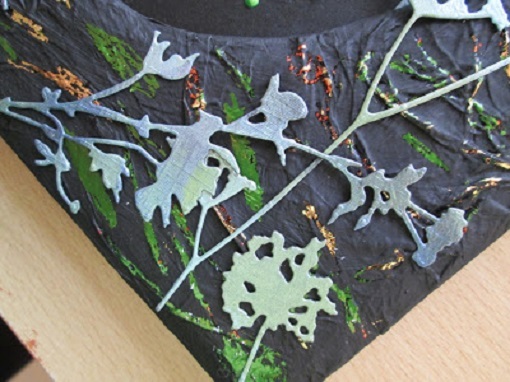 They can be used on a number of different materials such as denim, canvas and card to help you create your own mixed media craft projects. These amazing paints are water based, permanent, fast drying, fade resistant and non toxic. What more could you ask of a fabric spray paint! These 59ml bottles are available in 10 fabulous, vibrant colours: Neon Green, Neon Orange, Purple Pizzaz, Bahama Blue, Neon Pink, Sunshine Yellow, Blue Sapphire, Black, Cherry Red and White. They are also Acid Free. Perfect for decorating and giving a personal touch to aprons, bags, t-shirts or jeans. Simply spray then look at the pattern created before adding more. 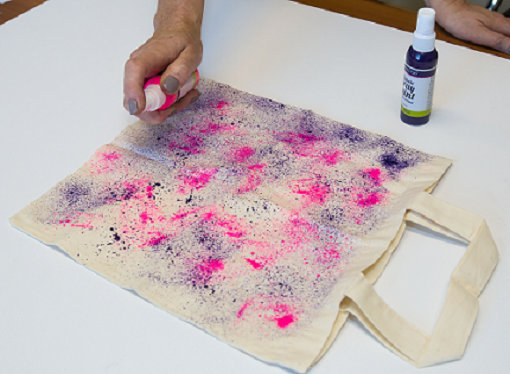 Simply spray onto a canvas and allow to dry to create your very own wall art. A heat gun can be used to speed up drying time – this can make the paint bubble adding to the paint effects on your finished canvas. The spray paints can also be used on card. Perfect on white to show their true colours or create patterns on black to create amazing fluorescent backgrounds like fireworks or flashes of light. Scrapbooking: Create a work of art or just a small splash on all your scrapbook layouts, mini albums or tag books as these paints are Acid Free. 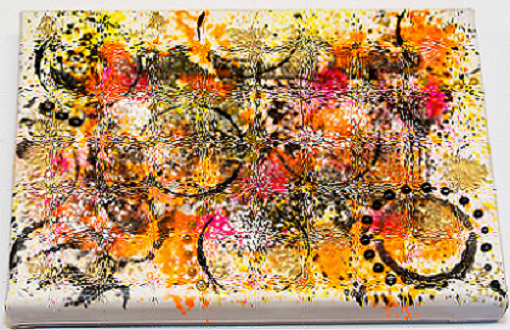 Journaling: Use on journaling to create amazing patterns then allow to dry. For further product information, please contact Stix2 on 0191 2697810 or sales@stix2.co.uk. 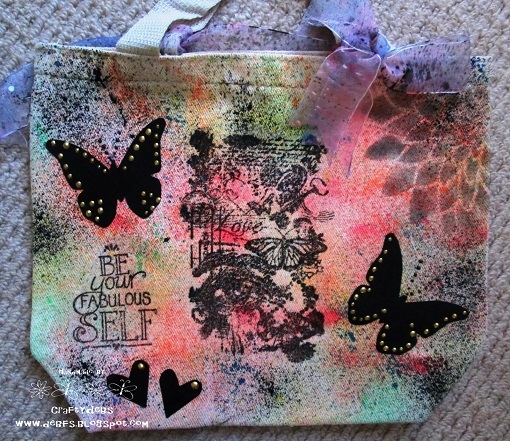 New techinques are always flying about in the Craft industry... here is a wonderful mixed media canvas created by Rushanne Young from Rocky's Crafting Blog. Please visit Rushanne's blog for details on how to create the canvas. Upcycling is the perfect creative way to give an old pre-loved item a new lease of life. 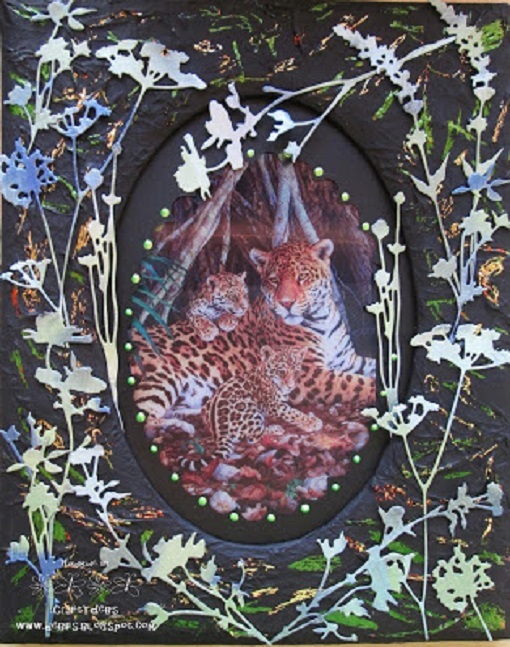 Debbie Frost has been using her crafty skills and some of her favourite Stix2 products to make a lovely photo frame. Using these Stix2 products, you too can create your own bespoke photo frame by following the steps below. 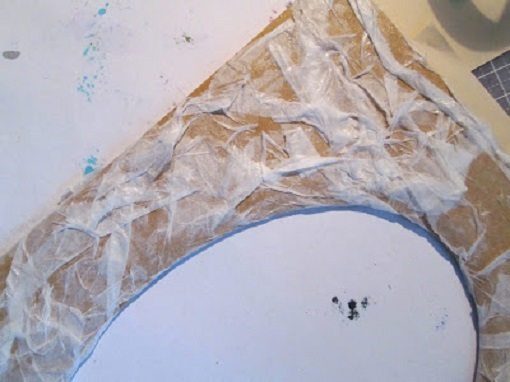 Firstly Debbie scrunched up some White Stix2 Tissue Paper and stuck it to the frame using Stix2 PVA Glue to give texture. She then left this overnight to dry. 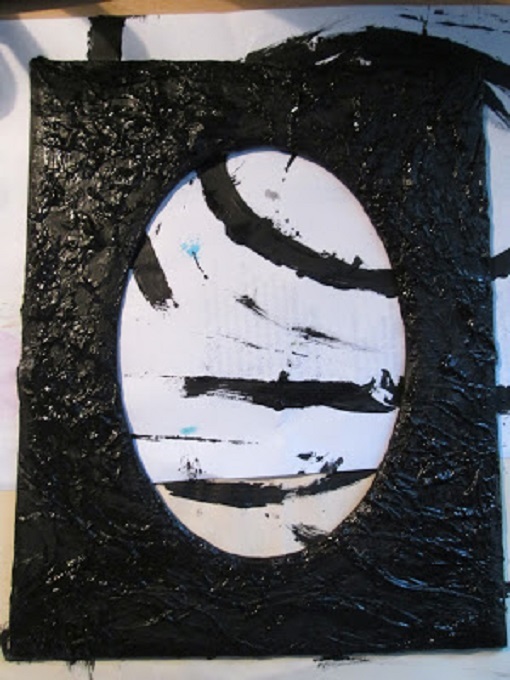 Next she gave it a coat of Black Gesso Paint and left this to dry. 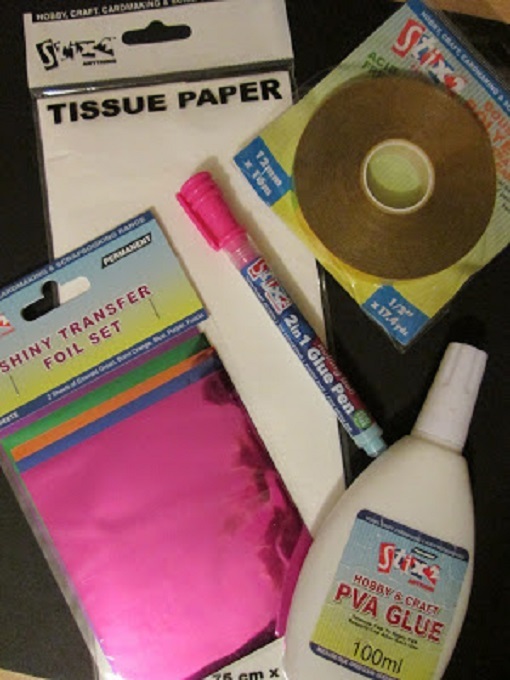 Debbie then used the new Stix2 2in1 Glue Pen on the texture created by the Tissue Paper. She applied the glue and then left it to go really tacky (about 1/2 hour) . At this stage it's great to use with Stix2 Transfer Foils in gold, copper and green. 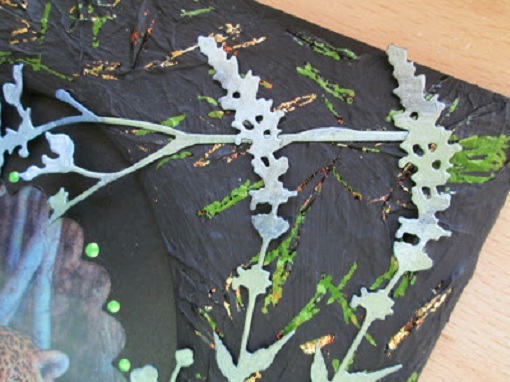 The foliage for the jungle look came from Sizzix Tim Holtz "Wildflowers" Thinlets die set. 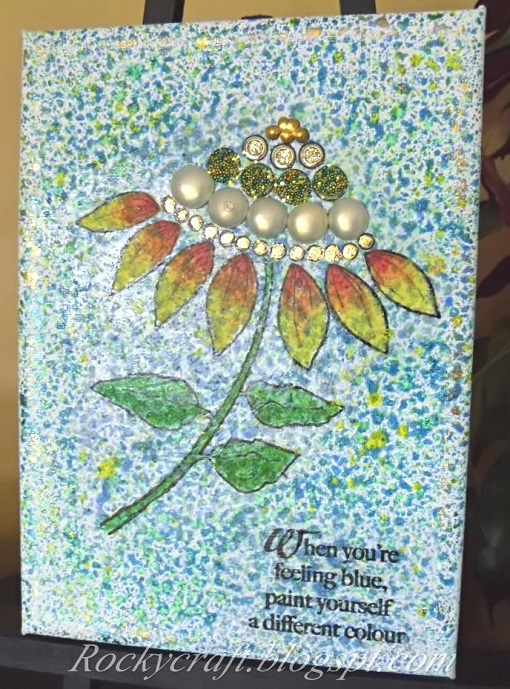 Debbie took a piece of A4 Tinted Black Card and randomly applied Creative Expressions Metallic Gilding Polish in Citrus Green and Mediterranean Blue and then cut with the dies. The Stix2 Glue Pen was really great for sticking the flowers in place as it has such a lovely fine nib. She then mounted the tiger onto another sheet of A4 Tinted Black Card and the whole thing was assembled using Stix2 Polyester Ultra Sticky Tape. 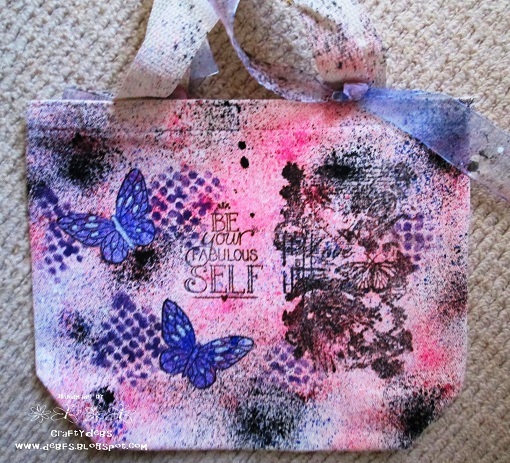 Mixed Media is all the rage at the moment and with supermarkets now charging for their carrier bags, Tote bags are also becoming more popular. So why not create your own and make it personal. Debbie Frost has done just that as you can see below. Or to view more of Debbie's projects click to Crafty Debs. Stix2 will be exhibiting at one of Europe's Biggest Craft Shows, the CHSI Stitches Trade Show, at Birmingham NEC 19th - 21st February 2017. We will be launching an exciting range of new Stix2 products - you're going to love them! We also have demonstration workshops with Michelle Johnson, who will show you more tips and techniques with the Stix2 Craft Iron and Heat Adhesives and Sarah Payne, who will be demonstrating our fab NEW little Fabric Glue Pen. Come and visit us at Stand 12D06 - we look forward to seeing you there.